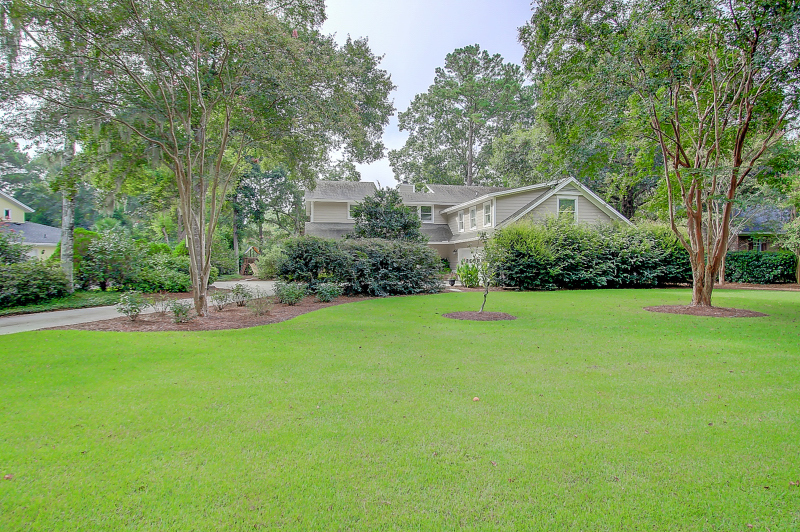 Located in the popular Snee Farm neighborhood in Mount Pleasant, 983 Casseque Province has all the features you are looking for in your next home including an inviting floor plan, updated interior and a spacious lot with views of the golf course. The laundry closet and powder room are also on the first floor. The large master bedroom suite is located on the wing of the house opposite the living spaces and features views of the golf course. 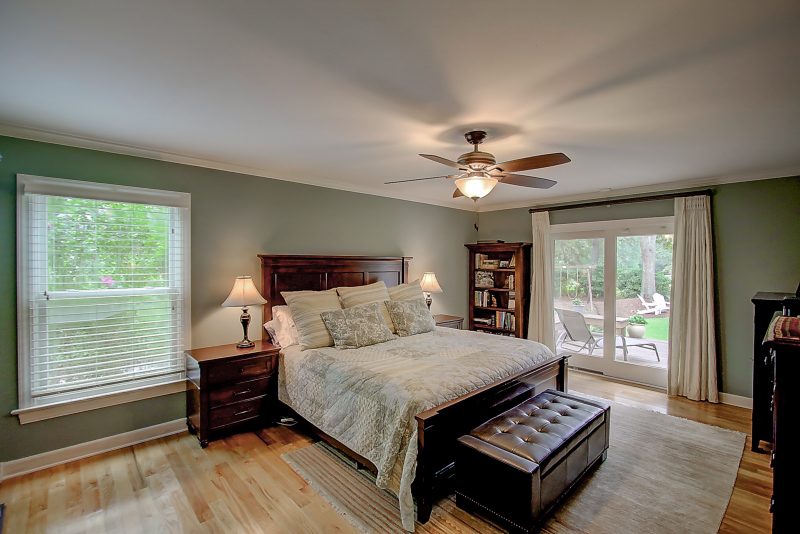 The private retreat has a well-sized bedroom with gleaming hardwood floors and access to the back deck. A cedar-lined walk-in closet and contemporary bath with a dual sink vanity, tile flooring and a large tiled shower are other highlights. 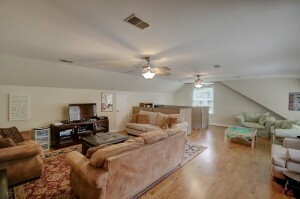 Upstairs are the home’s remaining three bedrooms. One of the guest rooms has its own en suite bath while the other two share access to a hallway full bath. 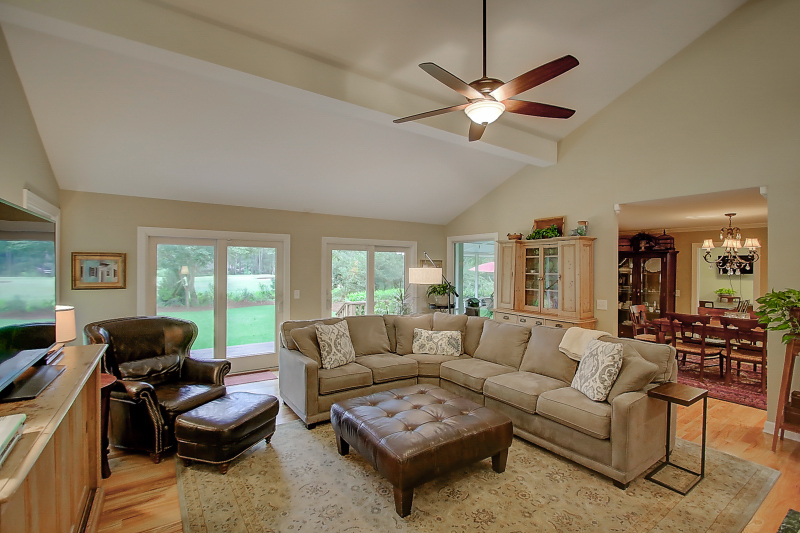 A light-filled upstairs hallway overlooks the living room and there is also a large bonus room with hardwood floors that is currently being used as a secondary living room. If you enjoy being outdoors, then you will love the setup of this house. 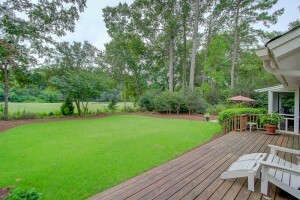 In addition to the large front yard, there is also a sizable backyard that overlooks the 15th green of the Snee Farm golf course. A wooden deck, with built-in seating, is accessible from the master suite and living room, and there is also a stone patio which is perfect for enjoying a meal in the fresh air. 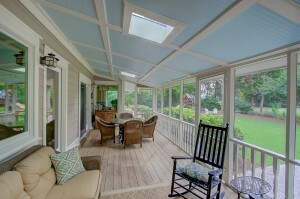 The large screened porch extends the living space outdoors and can be enjoyed year round. 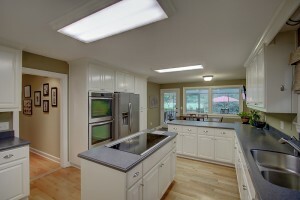 In addition to all the features of the home, the location is also ideal. In just minutes, you can be enjoying the sites of historic downtown Charleston or soaking in the sun on Isle of Palms. Local shops, restaurants and major services are also located nearby. With a separate membership fee you can also join the Snee Farm club which includes swimming facilities, tennis courts, golf course. For more information or to setup a showing, contact listing agent Jason Ogden. 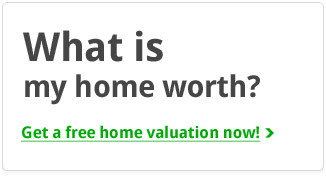 Click here to see more homes for sale in Snee Farm.